Halina Frydman is a Professor of Statistics and Operations Research at the Stern School of Business, New York University. Professor Frydman's primary research areas include Markov processes and survival analysis. Professor Frydman's recent work is concerned with applications of survival analysis and Markov chains to modeling of the unemployment/employment processes and corporate credit ratings migration. Professor Frydman has published articles in a wide range of journals, including Journal of the American Statistical Association, The Annals of Applied Probability, Biometrika, Biometrics, Journal of the Royal Statistical Society, and The Journal of Finance. 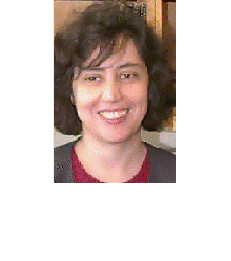 She teaches courses in statistics and stochastic processes. Professor Frydman received her Bachelor of Science in physics and mathematics from Cooper Union, her Master in Arts and Master of Philosophy from Columbia University, and her Doctor of Philosophy from Columbia University.